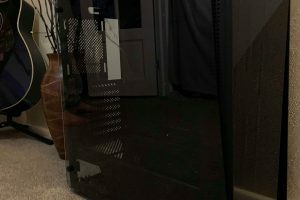 Fractal Design is a Swedish based company that has been around for some time now and has a good reputation when it comes to cases, fans and power supplies. 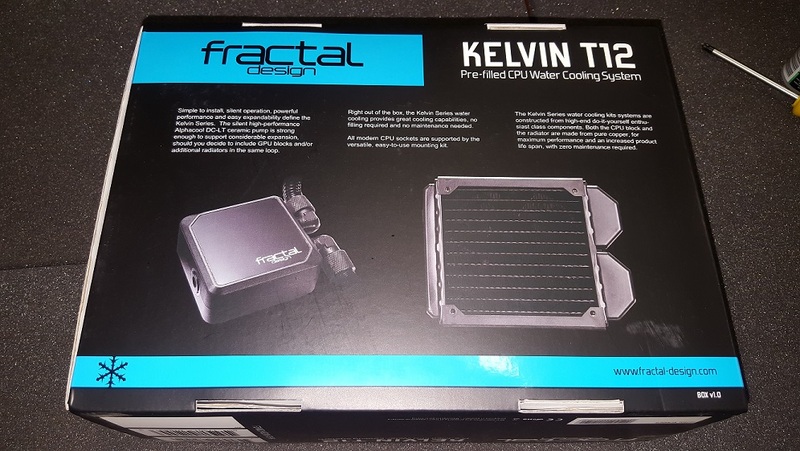 This is Fractal’s first offering into the world of PC water cooling under their own name (They also supply Silverstone and Enermax) and on the surface it seems as though they aren’t messing around. 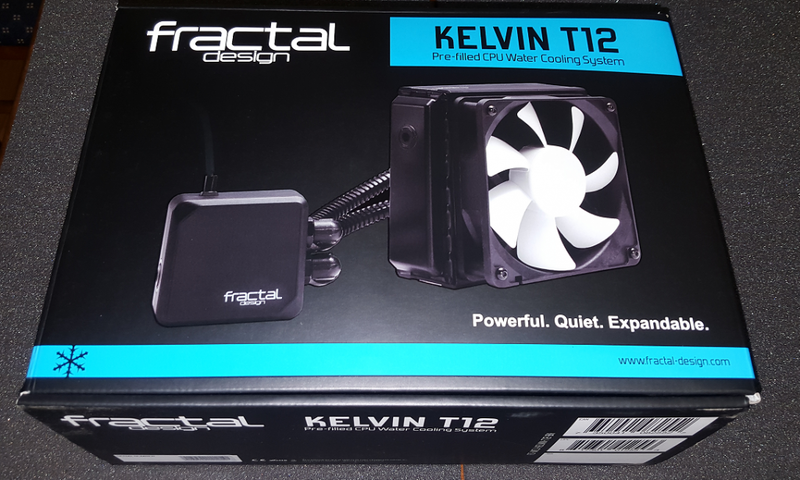 The box is very stylish and purposely understated with simple lettering and colours, The words “Powerful, Quiet, Expandable” emphasize Fractal Design’s wishes with this cooler. The side of the box shows an exploded view of the pump head and water block and we can see the amount of work that has gone into the making of this AIO. 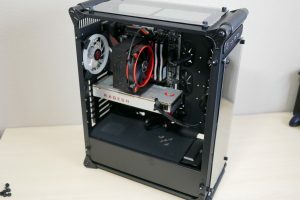 The fact it features an Alphacool pump and G1/4” fittings make sure that if you decide to expand on this you have the power and capability to do so. 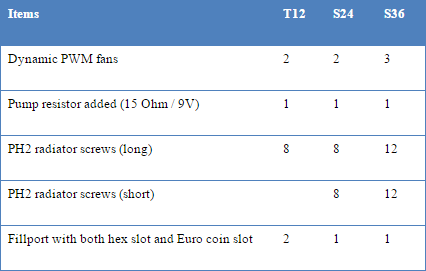 The other side of the box gives us a package contents list and mounting list which includes every major desktop socket type out there and the dimensions for the radiator which is very helpful for case compatibility. 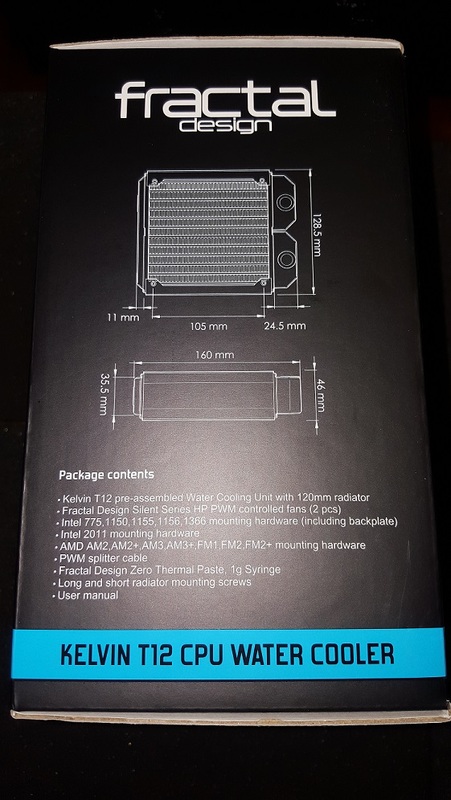 The back of the box gives us a short introduction to the Kelvin series AIO’s and points out some of the highlights which claims: Simple to install, Silent to run, Powerful performance and East expandability which again highlights the Alphacool pump, full copper cold plate and full copper radiator. Moving onto the inside of the box we find a thin piece of foam sheet protecting the components and the user manual and warranty guide, The manual is very well written and thought out with lots of diagrams and a full specification sheet which even includes a radiator placement and expandability guide. 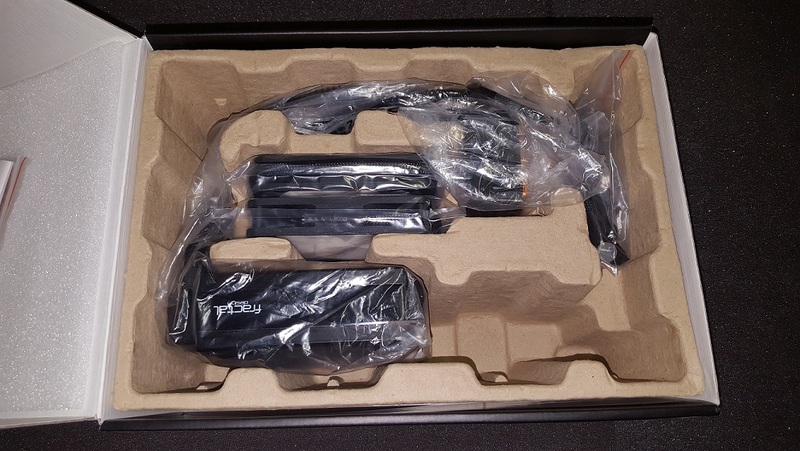 The packaging is fairly simple and everything is packed away nice and snug in the moulded cardboard tray to prevent damage in shipping. Here we have the thermal paste, mounting brackets, screws and washers needed for both Intel and AMD systems. 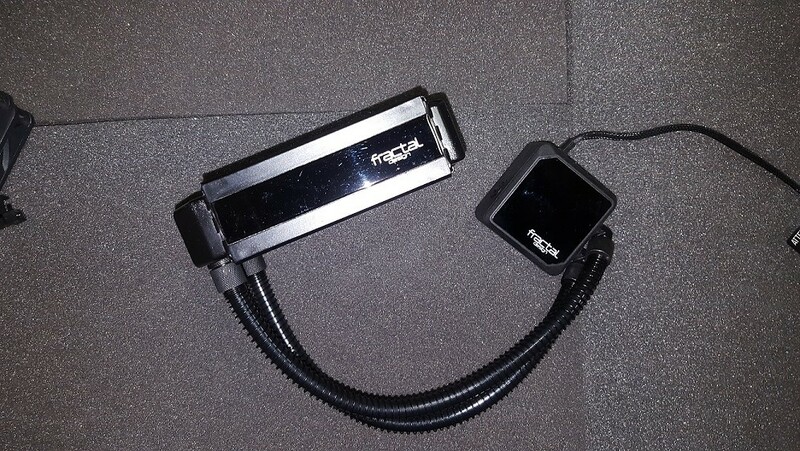 We also have a fully sleeved 2 into 1 PWM fan cable which is a very nice touch. 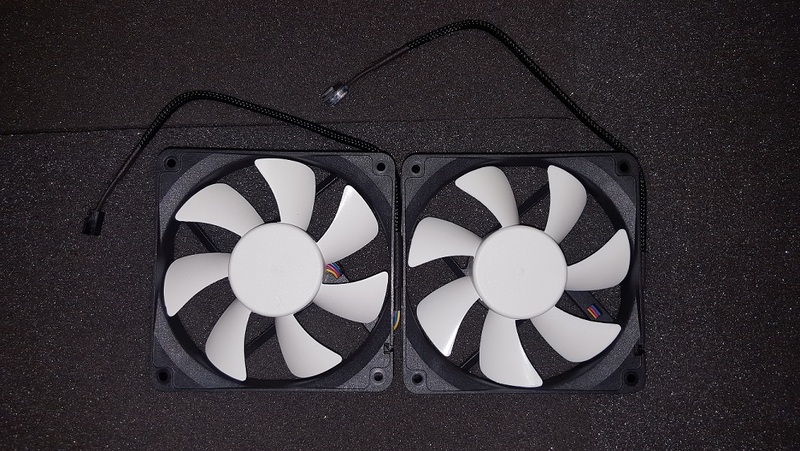 These are the fans supplied, they are the Fractal Design silent series HP120’s and first impressions are good, the cables are fully sleeved and are a good length, the fan surround is sturdy and the blades don’t feel flimsy or cheap. They have PWM capability, a rpm range of 500-2000rpm, can push up to 87.6 CFM and have a static pressure of 2.30mm H2O whilst staying at 32.2dBA. 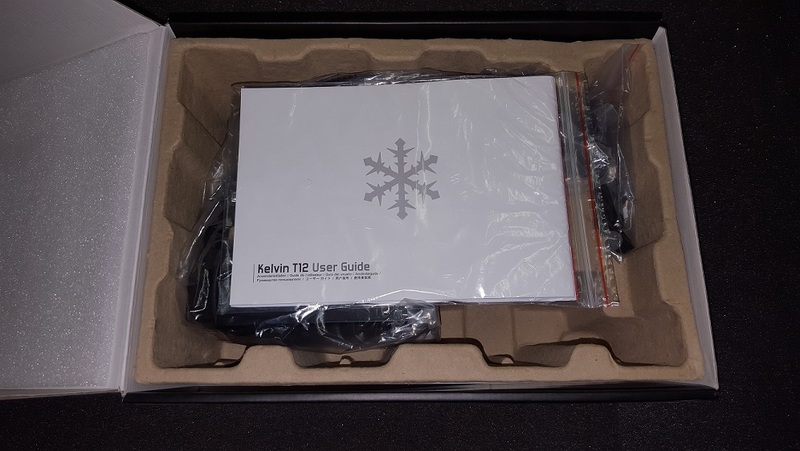 Here is the full shot of the Kelvin T12 and it’s a very good-looking AIO, the piano black finish on the pump block and radiator surround are a nice touch and add an elegance to the product. The tubing is very flexible but will not kink thanks to the anti-kink springs.The G1/4” compressions fittings are good quality and sturdy but still allow good movement on the block side. 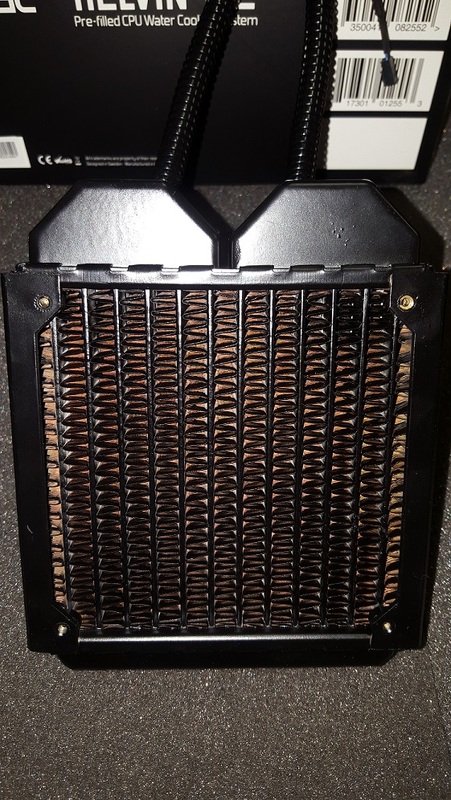 The radiator is made in cooperation with Alphacool and is made from copper and nylon, Interesting choice of Nylon in there in my opinion but there is a reason for it, Fractal say that since nylon is heat-resistant all of the heat is focused into the radiator fins which is right in the path of the fans so it makes this a great choice for small cases with little airflow. 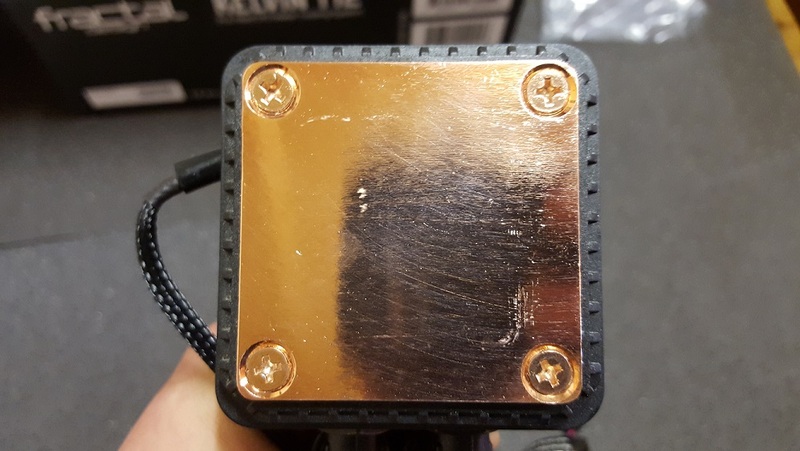 The base plate is almost polished to perfection which is very impressive and bodes well for good temperatures, the fact that is even has copper screws makes it clear that Fractal Design wanted to go the extra mile to deliver a great cooling solution. 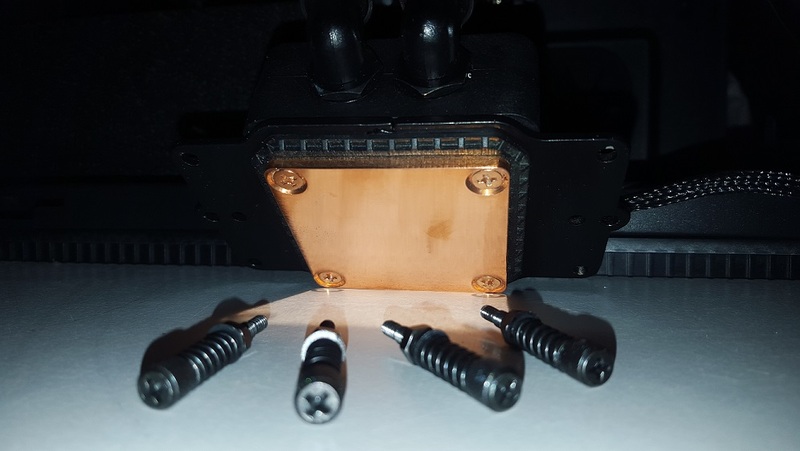 Mounting this AIO is a breeze, Fractal Design include a small allen key to use with the screws for the fans while the mounting screws are a normal thumbscrew/Phillips head combo. 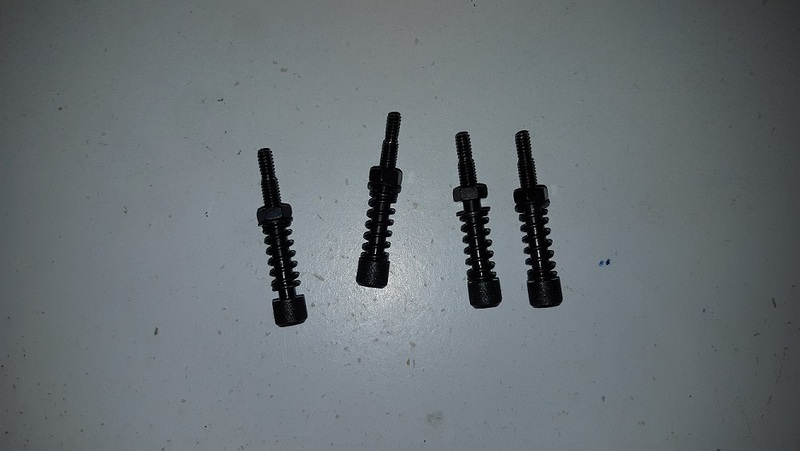 These are the screws for mounting the block fully assembled, you slide the spring over the screw, place a washer on the end then screw the nut on to hold it all in place. 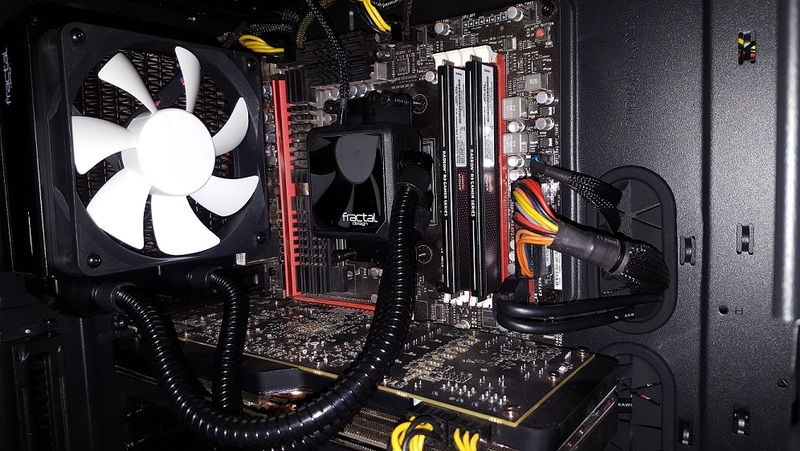 Here it is mounted in my testing rig and looking very sleek indeed, Since this uses the stock AMD back plate for mounting instead of a custom one it’s just one step less you need to worry about. I’ll be testing this cooler using Asus ROG Realbench with various CPU clock speeds and with the fans set on standard and full speed, Ambient temperature is 23c. With the fans turned up this cooler can handle 4.8Ghz quite easily which is rather impressive for a 120mm AIO, the fans are a bit noisier but they really drop the temperatures which makes me wonder if these had some better fans how well this AIO could go. There is only one thing I don’t like about this cooler, The fans. They look great and perform decently enough but I feel as though with some better static pressure fans it could have performed better. 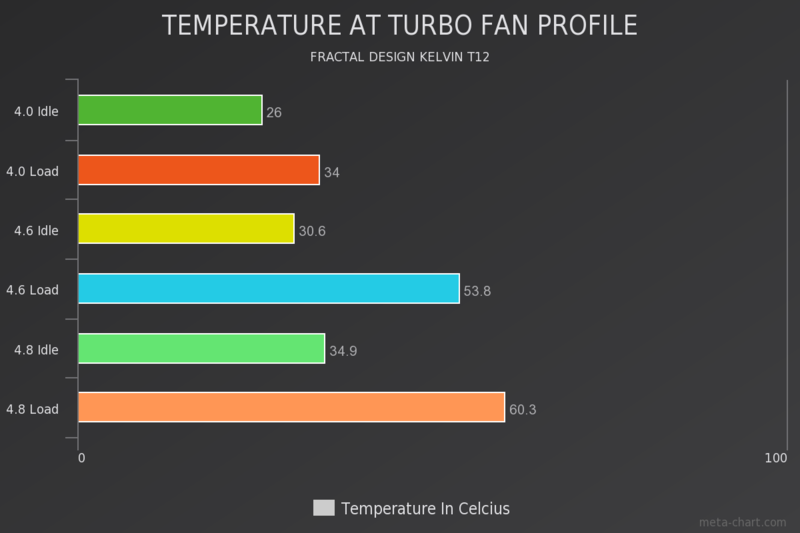 Well I didn’t think the T12 would perform as well as it did to be honest, seems like the collaboration with Alphacool really paid off and produced a solid quality product. 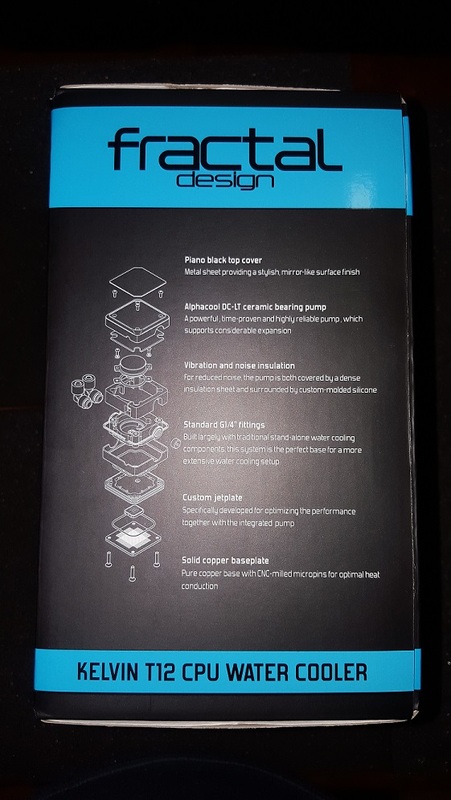 With the looks, performance and the expandability it could be the start to a nice custom water loop. 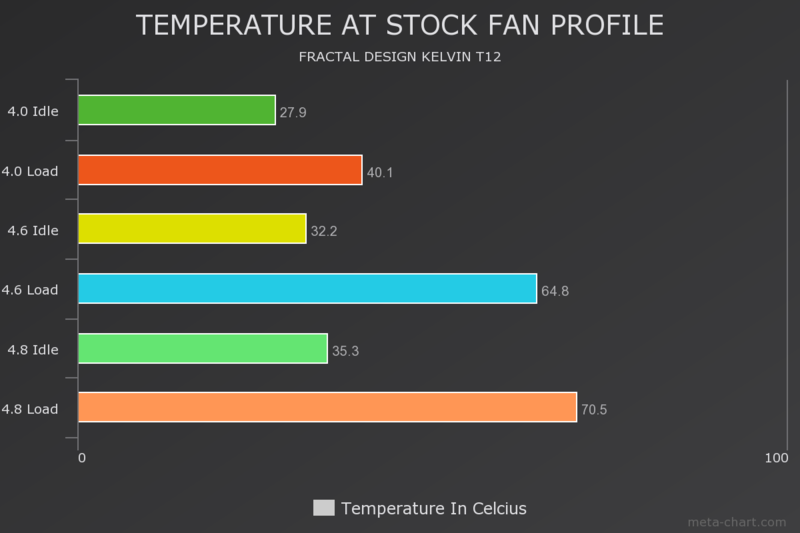 EDIT: Fractal Design have since contacted me and have let me know that there is an upgrade kit available for all current Kelvin AIO owners. 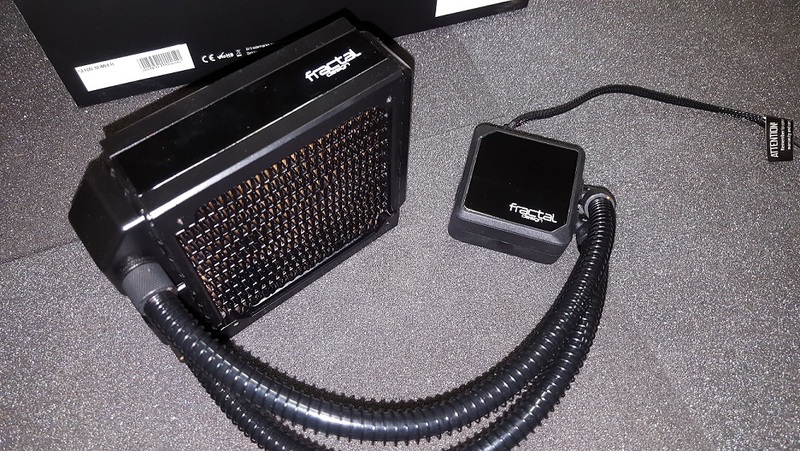 The new upgrades are Fractal’s Dynamic GP-12 PWM fans which are quieter and offer increased airflow, a 9V speed adapter for the pump, an improved fill port design which can be opened with a coin and new PH2 radiator screws which means you no longer need an Allen key. 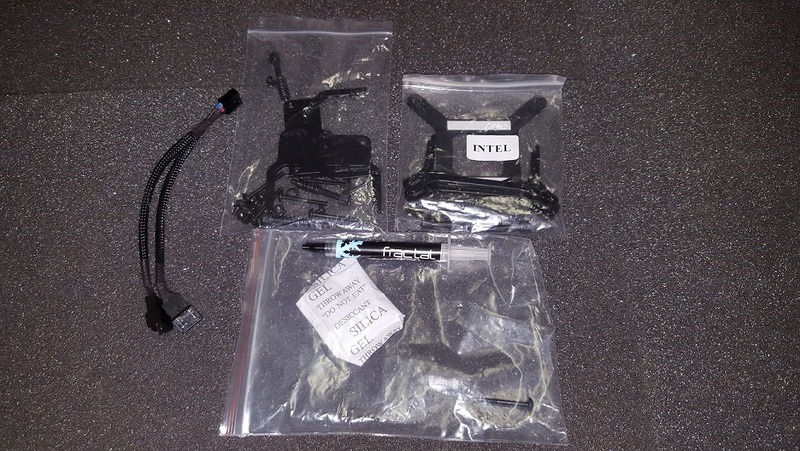 This kit will also be added to the updated Kelvin AIO’s in the future. From the pictures, it seems like they could do a better job with the lapping!